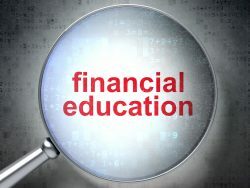 Are you thinking about sitting the CISI’s Financial Markets exam? Are you confused about what’s involved and what you need to know? Here is a simple explanation! This exam is the introductory paper of a suite of three that make up the Institute’s Level 7 Chartered Wealth Manager (CWM) qualification. This is their top award and the benchmark for private client investment advisers and managers, if you want to demonstrate that you have the highest standards of knowledge and expertise. The paper has been used since 2008 and in that time, the pass rate has hovered around 40-50%. On occasions, it has even dipped lower than this. Pass rates for the second and third papers in the CWM qualification have been historically better than Financial Markets, so why is there such a low pass rate with this exam, when many of the students taking it have a good level of either industry or academic experience, or both? Firstly, many students don’t appreciate just how wide the scope of the syllabus is. It covers an enormous area including economics, company analysis, investment risk, asset classes, alternative assets and the operation of the securities markets. It is quite unrealistic if you’re studying this much at this level, to rely on a single course book to get you through the exam, regardless of who publishes it. At the end of this article, I have provided a list of suggested titles that may help in this regard.. There are lots of other good books out there as well as other sources such as industry periodicals and the internet. Make sure you read as widely as possible particularly where covering unfamiliar ground. You adopt a very high-risk strategy with this paper when you learn only a few topics hoping that the rest won’t come up. Invariably they do! Next, it is vital that you follow a structured learning plan and that you start this at the earliest possible opportunity. Allocation of quality learning time for this exam is essential, given the scope of this syllabus. This can and has been achieved by students on their own, but often the process can be more successful if you add some formal quality classroom learning. Not only will this help to speed up the process of understanding the syllabus; it will also help with my next point – exam technique. Learn actively. By that I mean note taking, creating learning aids such as diagrams, charts and tables and cement knowledge with revision questions. Passive reading at this level will not be enough. Exam technique is the final, but very large piece in the jigsaw. With this module in particular, you have to get to grips with what the examiner is looking for. This is not rocket science. You don’t have to come up with the most ingenious and original answer to gain full marks. Answer the task set. In this exam it is essential that you look out for the key words and phrases within the body of the question. If you are asked to analyse a topic or situation, don’t just regurgitate everything you know about the subject. You may have to introduce your answer with a brief summary of understanding and then you move on to your analysis. What are the pros? What are the cons? Can you give a relevant example to demonstrate your points? If you are asked to assess the suitability of a suggested solution, your analysis must account for the particular circumstances provided rather than generic strengths and weaknesses. The three hours allocated to the paper will seem a lot, especially in terms of writing for this length of time now that we have become more used to using computers. However, many students still run out of time in the exam, even though they have prepared well. There are three sections to this exam with different lengths of question that you need to get used to. As is often the case, practice makes perfect. You won’t get everything right straight away. You will have to build your exam technique alongside learning the syllabus. Over time, you will realize what is needed and importantly, how long it is going to take you in the exam. Again, ongoing guidance on technique from a reputable training organization can help to speed up the whole process leading to first-time success. At Glascow Consulting we offer a comprehensive revision course over eight days, which includes a mock exam with feedback. For people who wish to study alone and attend a short revision course prior to the exam, we offer a two day revision workshop. Courses are scheduled to run in London and Liverpool. Speak to us if you would like us to deliver an in-company course for you at any location. In addition we offer one-to-one coaching, email support and separate mock exams. For full details and booking, go to www.Glascow.co.uk. Glascow Consulting Ltd is a CISI Accredited Training Provider.